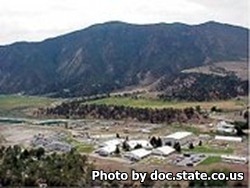 Rifle Correctional Center is located in Rifle Colorado and is a minimum security facility. This level I facility can house almost 200 inmates. This facility is a work camp setting which allows inmates to have a job in the surrounding community during the day and then return to the institution after work. Like most correctional facilities, Rifle Correctional Center offers inmates educational opportunities such as earning a basic adult education. Substance abuse treatment and parenting classes are also provided to inmates, and a pre-release program helps prepare inmates who will soon be released. Anyone wishing to visit an inmate must have first submitted a visitors application and had it approved. Visiting is on Saturdays and Sundays from 9am-3:30pm. For any visiting related question you can call (970)-625-7578 ext. 3005. This facility allows visitors to being certain foods that can be cooked/eaten in a barbeque setting, for more information about this or other visiting related questions contact the facility directly at (970)-625-7578 ext. 3005.